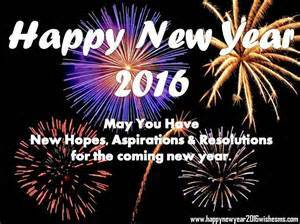 All I want to say to everyone is have a fantastic 2016, and I hope that whatever you dream for comes true. Simply as that, nothing else, apart from the usual world peace, love and harmony! So that's it nothing more to be said, unless you wish to comment and I will reply! THE SHADOWS BEHIND HER SMILE! BOOK LAUNCH! Tickets for the launch of Karen Millie-James debut book, "The Shadows Behind Her Smile" are now on sale! King of the Road Publishing presents an exclusive evening with the author herself as she discusses her thrilling new novel and personal writing experience. With the chance for the audience to pose their own burning questions, this is an event not to be missed! To book, please call now on 0208 236 8507! 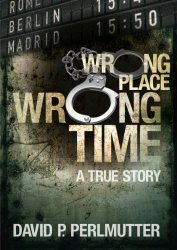 Just a quickie to say that another new 5* review just in from the UK for WRONG PLACE WRONG TIME! 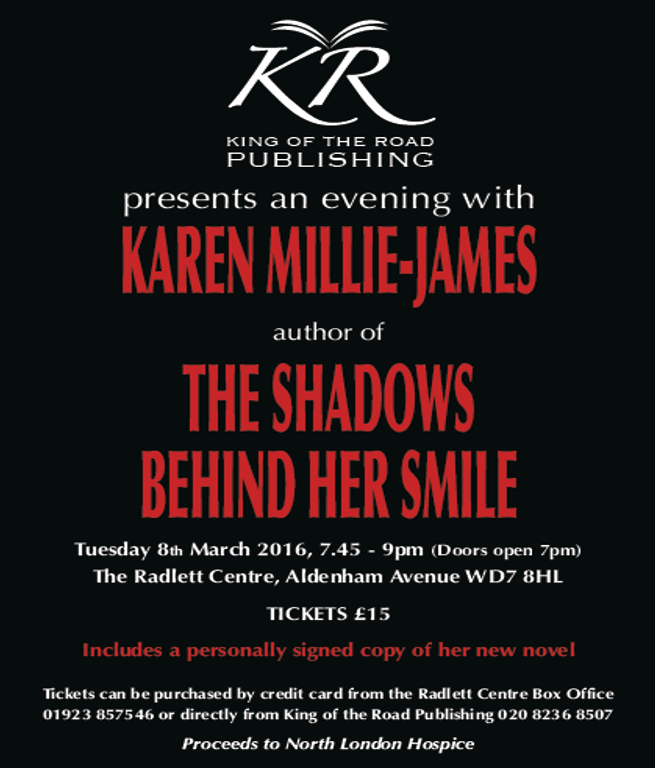 Book launch for THE SHADOWS BEHIND THE SMILE by Karen-Millie James! This book will be available on Amazon soon! If you have a minute, why not check me and my books out on Wattpad! 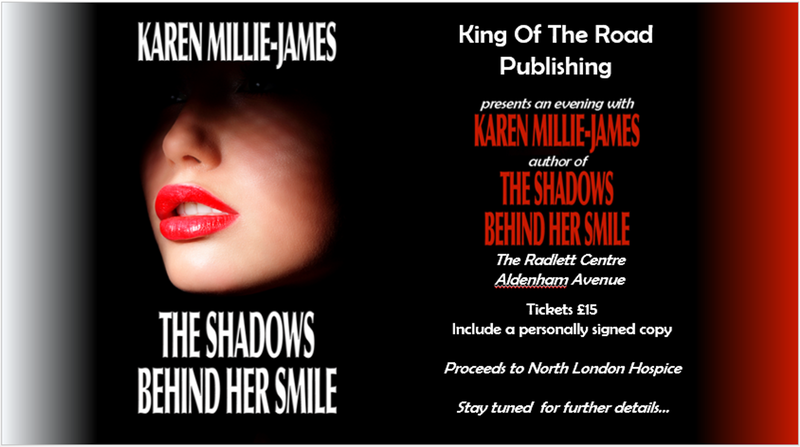 Final book cover for THE SHADOWS BEHIND THE SMILE by Karen=Millie James! I am on behalf of KING OF THE ROAD PUBLISHING delighted to reveal the book cover for the debut novel by Karen Millie James! The book will be available on Amazon shortly. 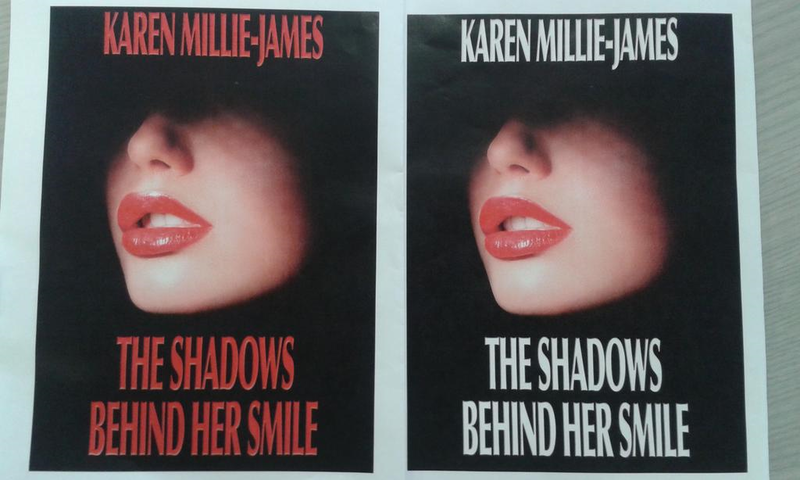 Draft of new book cover for THE SHADOWS BEHIND THE SMILE by Karen Millie-James. What do you think, RED or WHITE? 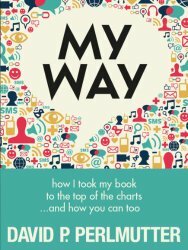 FREE EBOOK by Janna Yeshanova! 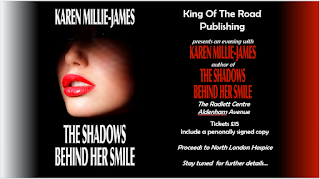 Karen-Millie James debut novel called, THE SHADOWS BEHIND HER SMILE, will be available soon on Amazon! Here is a biography about Karen and a synopsis about the book! Karen Millie-James was born in north-west London to a father who had escaped Germany with the kindertransport in 1939 and a mother who was a talented window dresser in London’s West End. Inspired to do well, Karen studied business and languages at the University of Westminster and commenced her career at a small engineering company in the international department. Realising her full potential was not going to be met there, Karen left and joined the legal department of Levi Strauss, quickly being promoted to European Group Company Secretary, where she remained until the company closed down its European headquarters. For the following ten years, she worked for a multi-discipline organisation in Central London but it was always Karen’s dream to set up her own consultancy which she did twenty-three years ago. Now Karen is widely recognised internationally as an expert in the corporate field and she sits on many boards of directors in an advisory capacity. A couple of years ago she was asked to mentor MBA students at the University of Westminster on a voluntary basis to which she agreed with much pleasure. 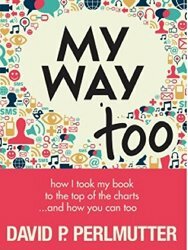 Karen never intended to write a book at such a stage in her life but what started as a hobby in her spare time away from the office, working in the evenings until late into the night and at weekends, has now become a new and exciting part of her. From an early age Karen started to see people in spirit and accepted this as if it were an every day occurrence. On the way, she discovered so many extraordinary stories that she decided to share these, although at the time was not entirely sure of her audience. 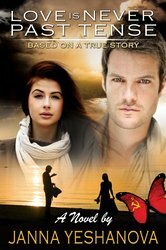 However, after six months of writing, she decided to fire her desire of the subject and turn the book into a novel. Thus she introduced a protagonist involved in the corporate forensic world and who is helped by spirit guides in her investigations with no reward other than to obtain the truth. The Shadows Behind Her Smile was born and Cydney Granger entered Karen’s life and many of Cydney’s experiences are also her own. Writing this book has become her passion made easier due to her background in business, literature and linguistics and having a vivid imagination. Karen now lives in the Buckinghamshire countryside with her husband of three years and their three dogs. She still works in her business but fewer hours whilst the remainder of her time is spent writing, playing tennis, going to the theatre and travelling, and having quality time with her talented twenty-three year old daughter who is a professional singer. 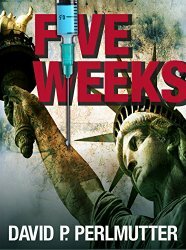 With a successful career in corporate forensics established with her husband, Steve, when he resigned his commission from the army, to the outside world Cydney Granger has it all; an adoring husband, two young children, a beautiful home and everything she could wish for following a difficult childhood. Then Steve is called for a special mission to the Middle East where he is killed and her world collapses. However, Cydney has a special gift; she is a medium who not only can contact spirit but also experiences dreams which foretell the future. She had a premonition of Steve's death only weeks before it happened but was powerless to prevent it and now has to live with the consequences. Cydney barely copes with her loss which reminds her of her father’s death when she was just a child, with history repeating itself in the cruellest way, leaving her twins fatherless. The arrival of Sean O’Connell, a Sergeant in Captain Granger’s Special Forces team, is her saviour, keeping his promise to his boss that he will look after her should anything happen to him. Cydney becomes involved in a world of insider dealing and fraud, attempted murder and blackmail whilst mourning the loss of her husband. She is a strong woman and self-assured, never letting down her guard but underneath she worries about her mother who has dementia and has now been diagnosed with terminal cancer, her sister who never supports her, coping with her work and ensuring her children have a normal upbringing without their father. She has chosen a difficult path to follow but is accompanied by spirit which is a source of comfort. 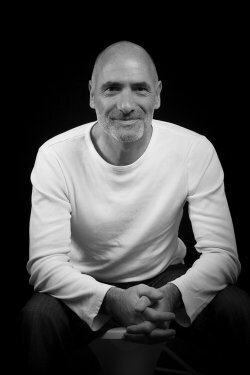 Still receiving great feedback from my podcast interview with KJ Waters and Suzanne Kelman. Why not take a listen. Also if you want to be featured and promote your book to thousands of listeners, get in touch!